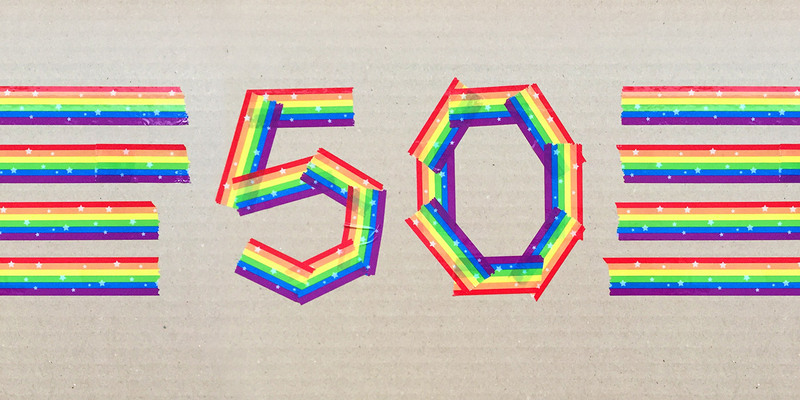 Croydon Pridefest 2017’s local LGBT+ celebrations are almost upon us and this year marks 50 years of progress on the road towards equality. From the beginnings of decriminalising homosexuality in 1967 to gay marriage becoming legal in 2014 and many other rights won over the years, it certainly is a landmark year worth celebrating. And may many more follow, with homophobia one day being a thing of the past. 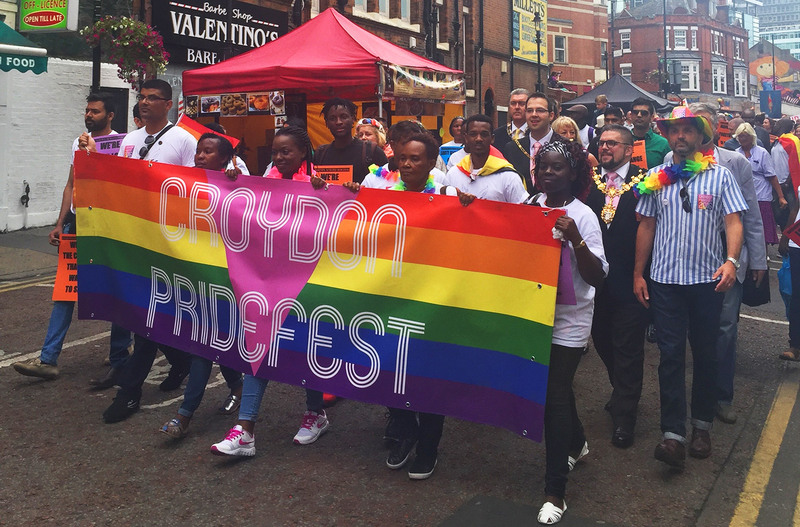 This Saturday, 15 July, will see Croydon’s Pridefest celebrations kick off with the walking parade at 12.30pm, starting at North End and travelling through central Croydon, past the town hall to the main festival area in The Queen’s Gardens. With over 3 thousand people attending last year, this year’s event looks set to be even bigger. A brand new feature this year on the former Taberner House site, comes from Saffron Central whose some 17,000 Crocus Sativus Corms have made way for what promises to be a visual wonder of colour with their installation ‘Chasing Rainbows’. 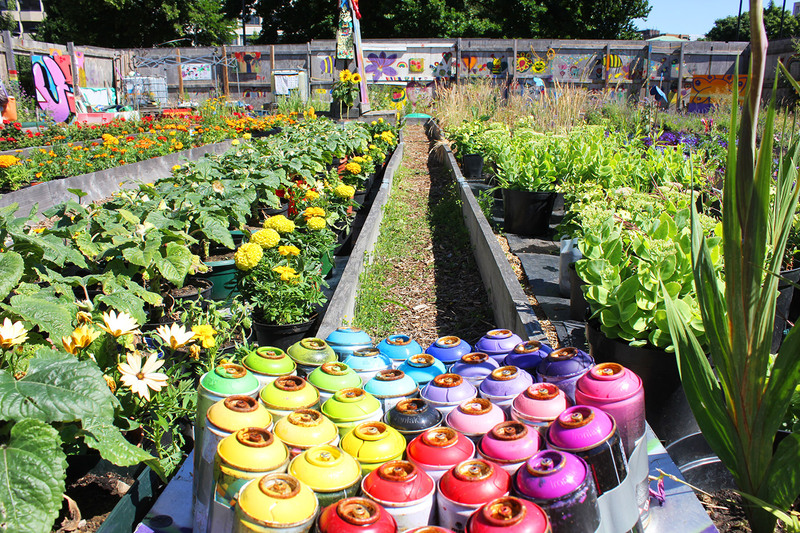 The vision was to build a giant rainbow flag for Croydon PrideFest 2017 using plants and arts donated by the community. Certainly an impressive project, it will be open from 11am to 1pm, so make sure you check it out as it’s right, smack, bang next to the festival site. ‘Chasing Rainbows’ installation in progress. Photo courtesy of Ally McKinlay. At the festival itself, expect vintage and craft stalls, kids entertainment, food, drink and a main stage line-up to keep you dancing, laughing and celebrating until the festival’s close at 8pm. Here’s the lowdown on some of the main stage performers this year. First up at 1.30pm is the Rainbow Singers Across Borders followed by some music and comedy by the wonderful Miss Sugar Cube (Wayne Allingham). If you fancy a bit of a singalong, then there’s a good measure of Abba on the bill in the way of tribute act, Abalicious at 3pm just before the jolly wonderful Topping and Butch take the stage with their outrageous musical Satire. I’m excited to have my own band return to play Croydon Pridefest this year. We’ve been described as Blondie meets the Pixies with a bit of Elastica thrown in, but have a listen and decide for yourself. Airplay across major radio? Certainly have! Tour across the UK? Yes we’ve done that. Record deal? Yep and we have a new single coming out towards the end of summer. You can watch our last music video here, and see if you can spy any Croydon haunts. Described as ‘uplifting, hedonistic, twisted and unapologetic, relentlessly running on the spectrum from rock to pop, but never willing to be specifically defined’ this is certainly an artist to get you dancing. Have a listen here. With the release of his debut EP this summer, Christopher Haul will be touring across the UK and Europe, with us being lucky enough for him to stop off at Croydon Pridefest. Since moving to London from Wales, he has been writing and recording his music with one of the industry’s top production teams, ‘Gros Soda’. Want to know more? Well you can follow his journey on YouTube with a series of videos documenting his story. 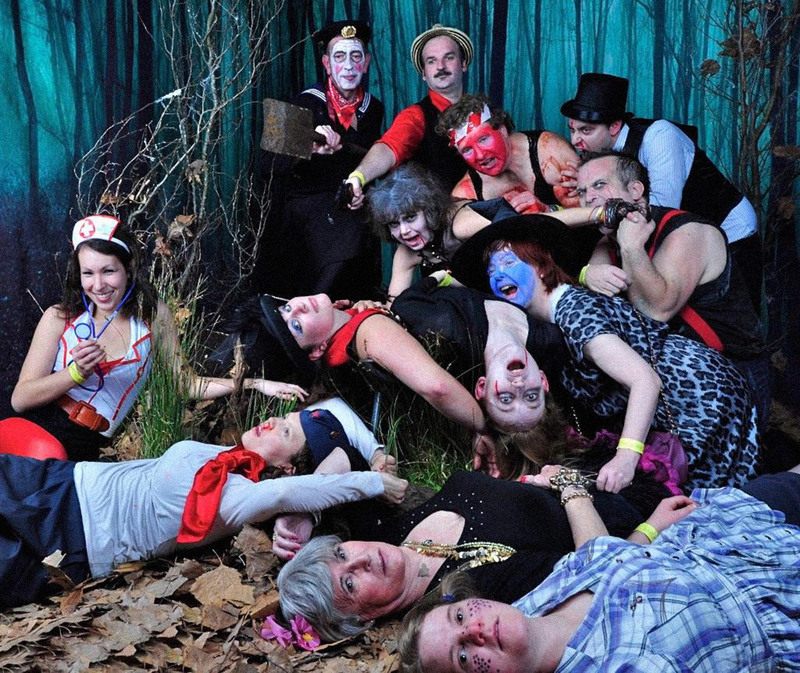 Think Rocky Horror Picture show meets a mash up of Balkan, Turkish and Russian march bands with a modern cover or two thrown in, and this might just come close to describing this band. They tour all over the UK and Europe and even have a strong following in Japan. We managed to squeeze into a rather packed Oval Tavern to see them a few months back and were blown away with their performance. This is entertainment at its best. Photo courtesy of The Trans-Siberian March Band. 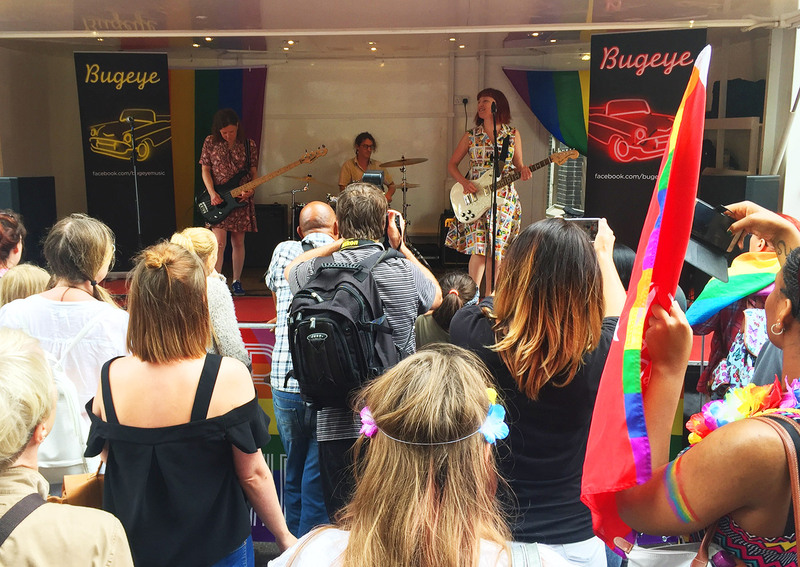 For full details on Croydon Pridefest, full bill of performers and more, you can visit their site here.